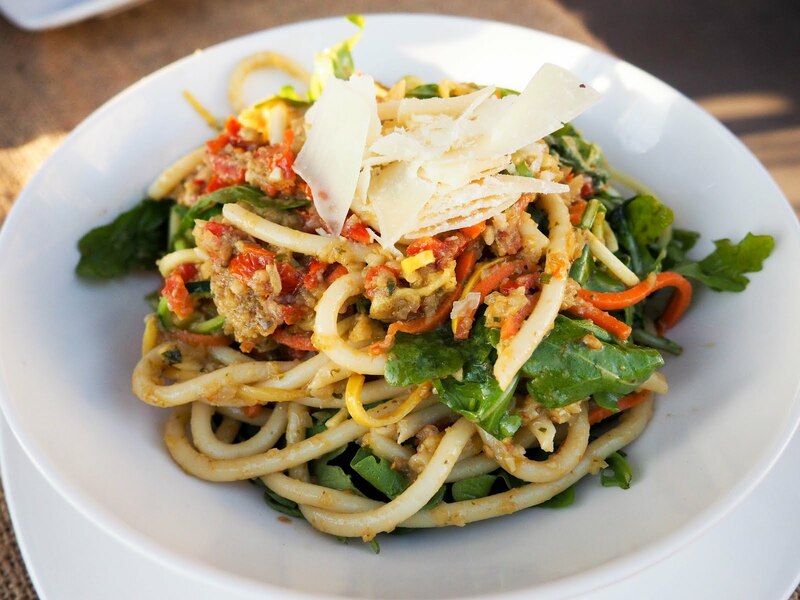 The New Spring Menu at Sundown at Granada has Sprung! Sundown at Granada changes up their menu twice a year, once in the Spring and once in the Fall, which means a few dishes from the menu are spruced up to incorporate flavors of the new season. This Spring, they've amped up the boldness and have delivered some new exotic dishes with a refreshing bite, perfect for a sunny Spring day on their patio. I had my first run-in with gazpacho a couple weeks ago while I was in Spain. My sister and I ordered it without a clue as to what it was. When the waiter dropped off our dish, it looked like tomato soup with a thinner consistency. With one bite, we were completely taken aback. The tomato soup was served cold! Not that it was a bad thing. The soup was incredibly cool refreshing. 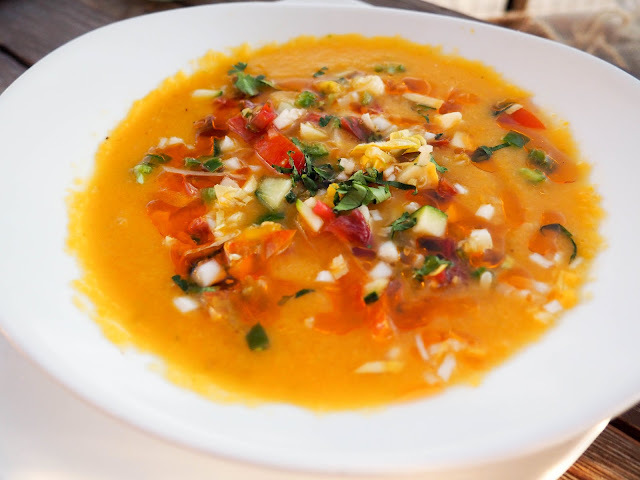 Originating in Spain, most people drink gazpacho in a cup almost like a beverage - in fact, most places serve it by the pitcher! If you've dined at Sundown but have yet to try their Short Rib, drop everything and run there now. We have been huge fans of it since day one and can still stand behind their short rib 100%. It's always so succulent that it'll literally melt in your mouth. 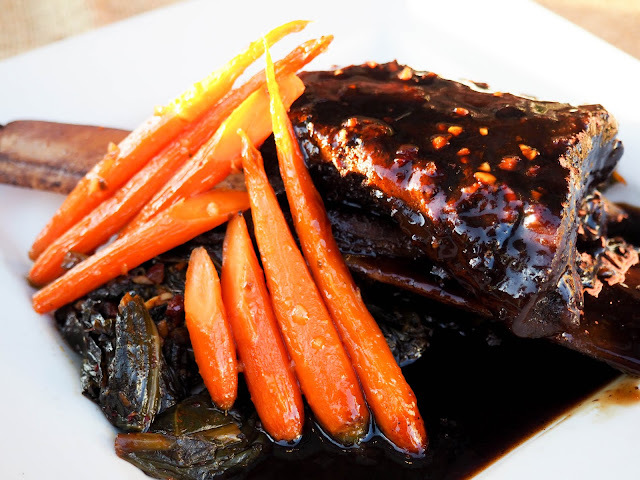 This season's short rib dish features an asian BBQ sauce! While not necessarily my favorite of the night, I enjoyed the Poblano Salsa on top of the pork. 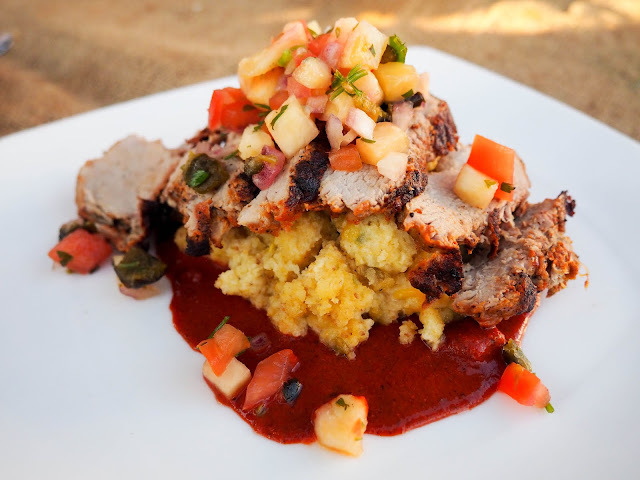 The dish has an overall Southern comfort feel and is made complete with the Southwest Corn Spoon Bread. Sundown is known for their highly accomodating menu. No matter what the dietary restriction, whether lactose intolerant, vegan, or gluten-free, there's something tasty for everyone, and I can attest to that with this vegetarian dish. The entire dish marries well together. I especially enjoyed the mixture of arugula and citrus chili oil. I would gladly scarf this dish down in a minute, even without the meat! 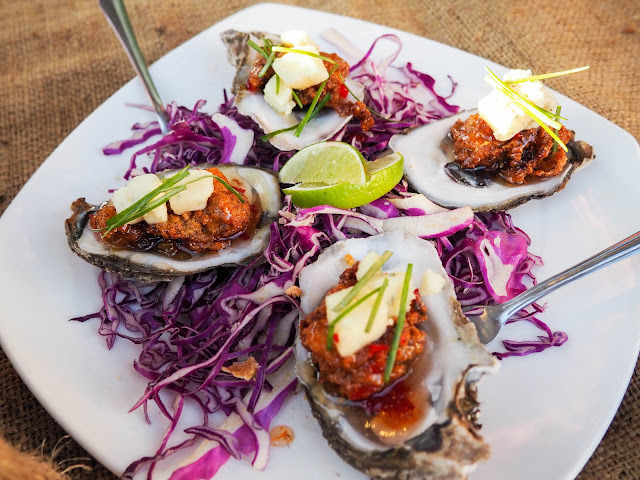 We weren't able to snap a photo of this one, but let me just say this: Chef Jason West proved that he hasn't lost his Louisianan roots with this dish. The fish lies on a savory lobster sauce and is plated with some crispy asparagus. Now let's not forget about the changes to the cocktail menu! 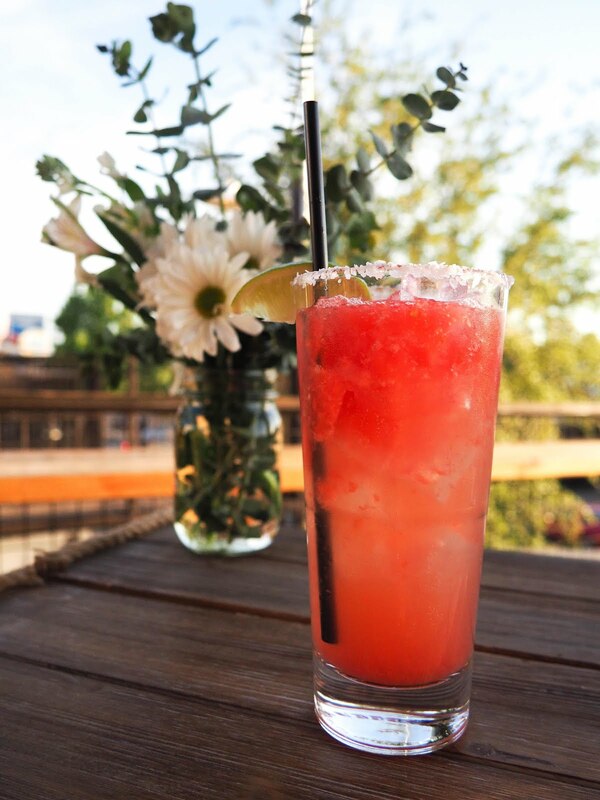 Between the new Purple Rain (Deep Eddy Vodka, Acai, Pomegranate, Honey, Elderflower) and the new Seasonal Margarita (Watermelon Infused Tequila, Cointreau, Watermelon Puree, Agave, and Fresh Lemon & Lime), the Seasonal Margarita will definitely be the drink I'll be grabbing for through the hot Texas summer days. Thank you Sundown at Granada for having us at the Spring menu preview. As always, all thoughts and opinions are our own.